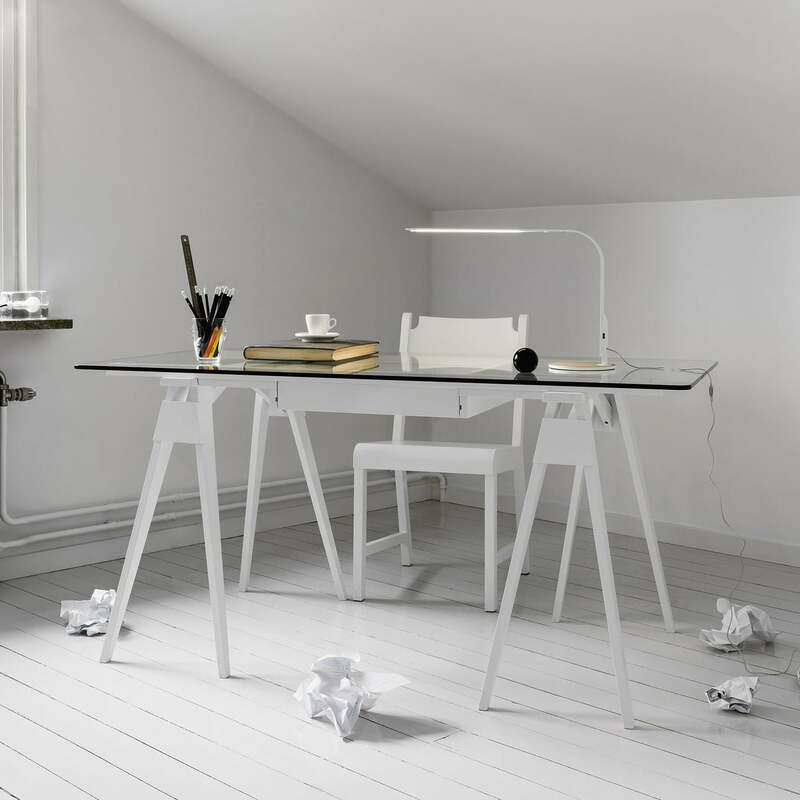 The Arco desk by the designer Chuck Mack for Design House Stockholm promises work with style, whether in the home office or in the bedroom or living room. 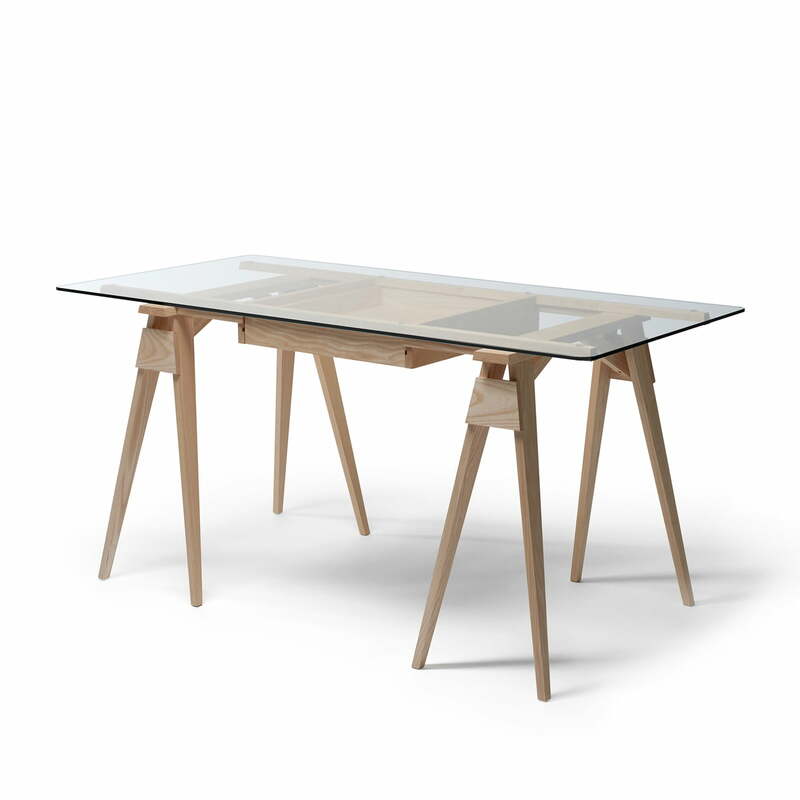 The desk openly and transparently shows off its sophisticated wood construction through the tempered glass table top with rounded edges. Two trestles carry the frame of the desk, attached with wooden plugs. From above, the drawer that opens from both sides is visible. The table can be placed anywhere in the room and its content will always be visible at a glance. Moreover, all important items are protected from dust yet still immediately at hand. The frame made of solid wood is available in various colours. 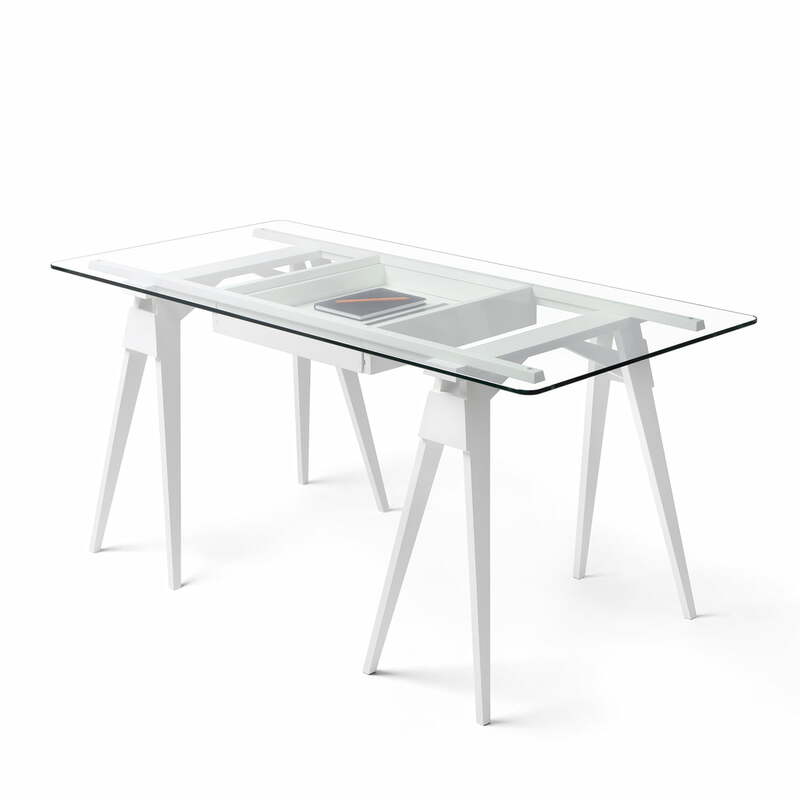 The trestles can also be bought separately to assemble with any table top. 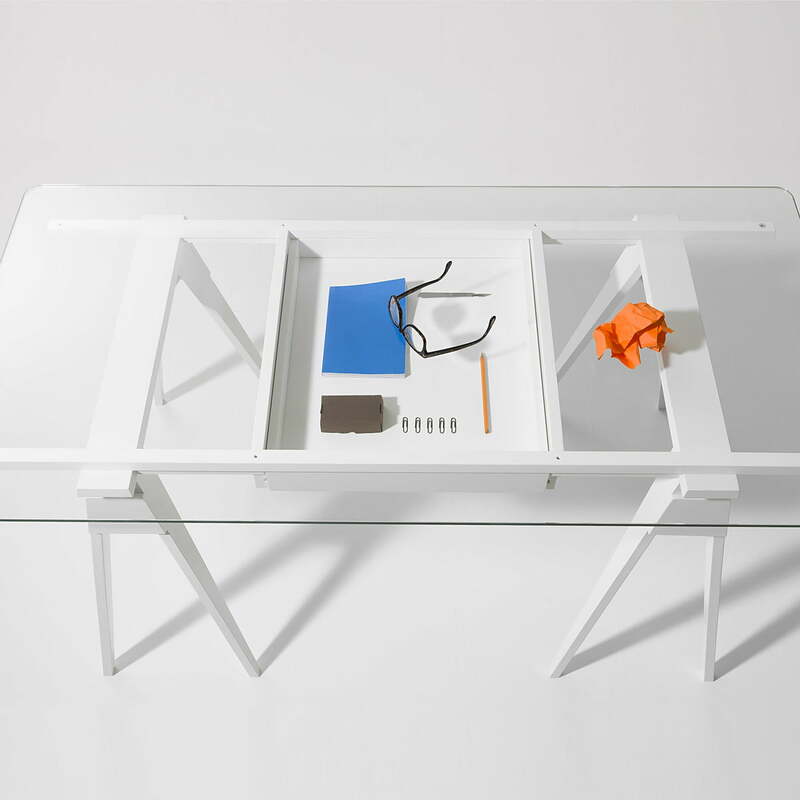 Image of the Arco desk with a white lacquered oak frame by Design House Stockholm. 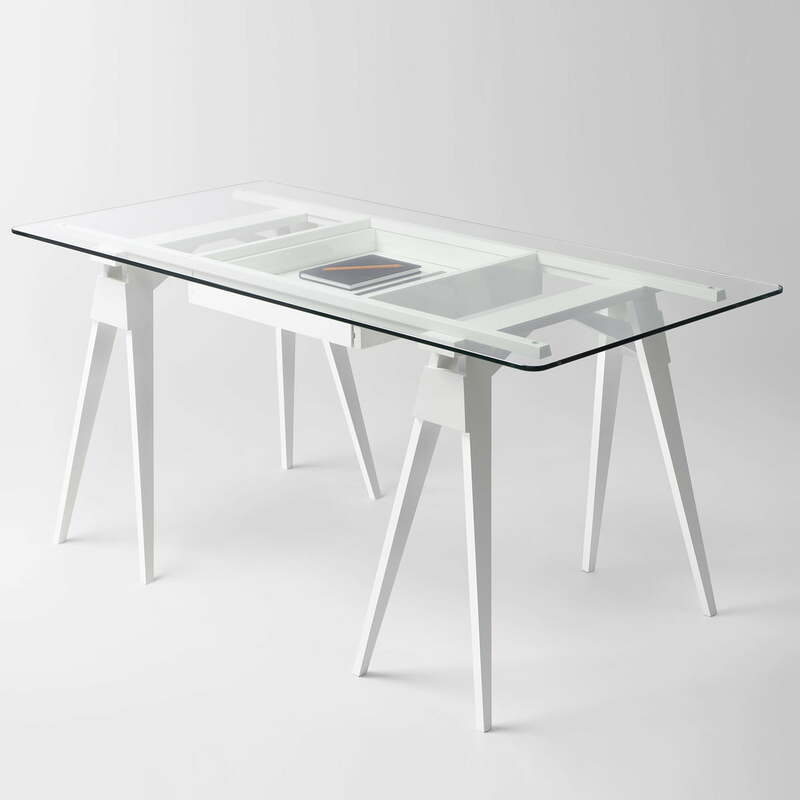 The desk shows off its sophisticated wood construction, openly and transparently through the tabletop made of tempered, rounded glass. 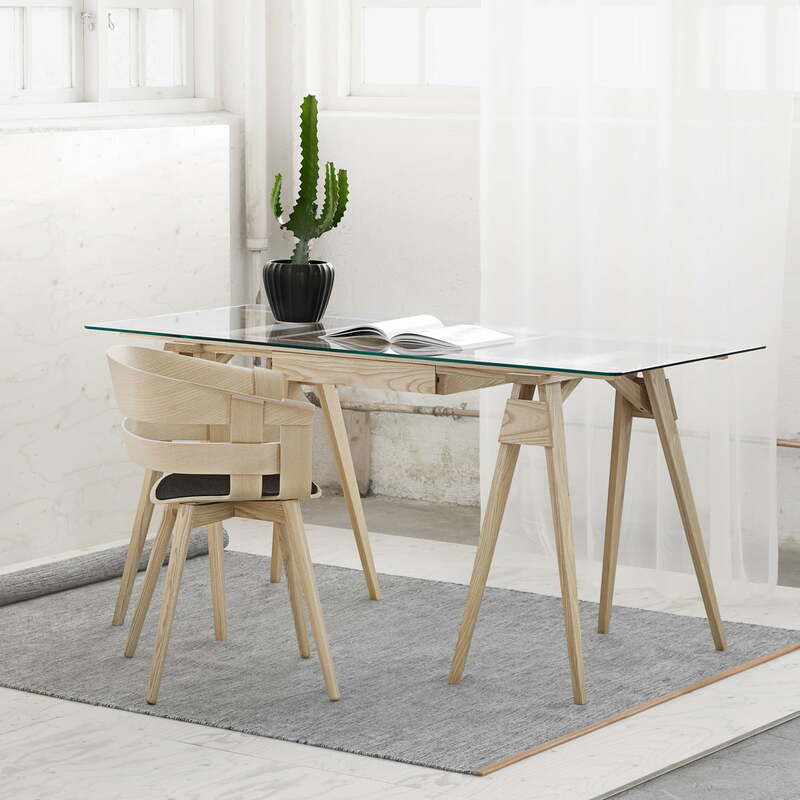 Image of the Arco desk with a base in oak by Design House Stockholm. Two trestles carry the frame of the desk, fastened with wooden dowels. From above, the drawer that opens from both sides is visible. 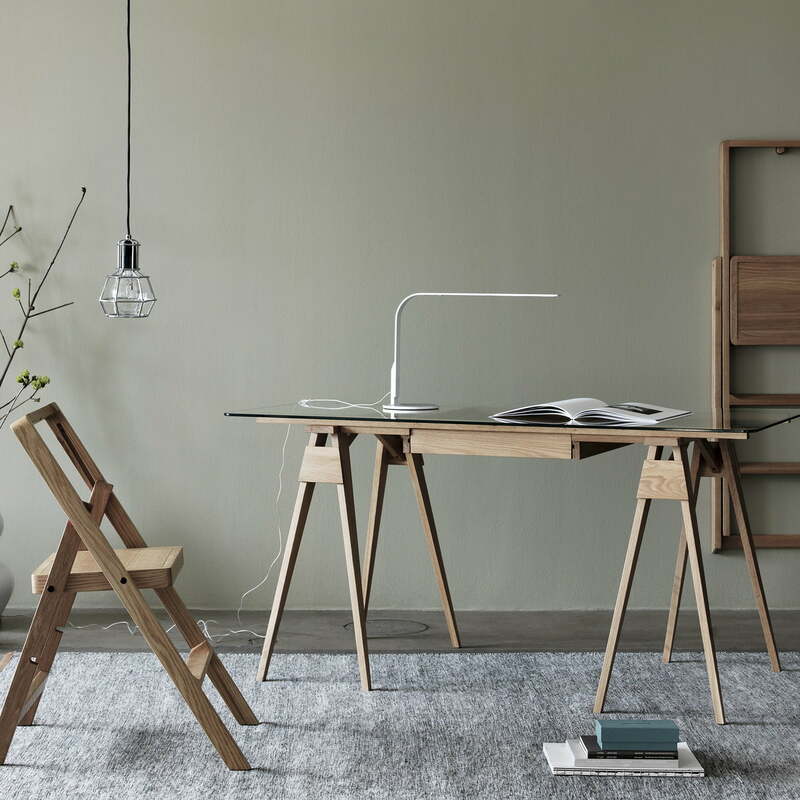 For safety and stability, the frame of the Arco desk is attached to the trestles with wood dowels and the drawer is accessible from both sides of the table. 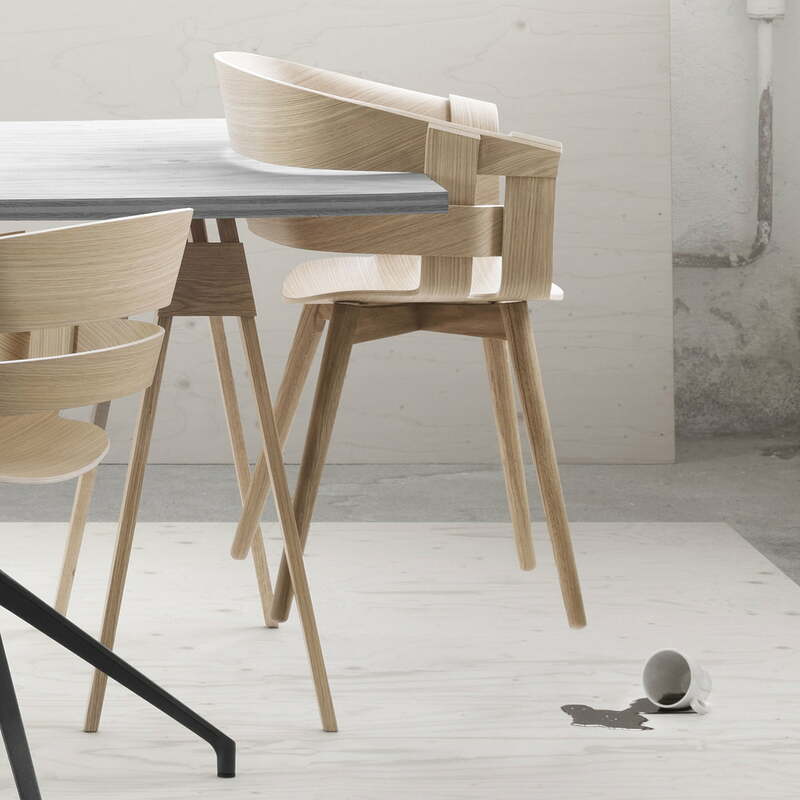 Group product image: The Wick Chair by Karl Malmvall and Jesper Ståhl can easily be hung on the edge of the Chuck Mack’s Arco desk thanks to its open backrest. The Arco trestles (set of 2) by Chuck Mack for Design House Stockholm belong to a table system by the designer, that also includes a frame with a drawer and a glass plate. 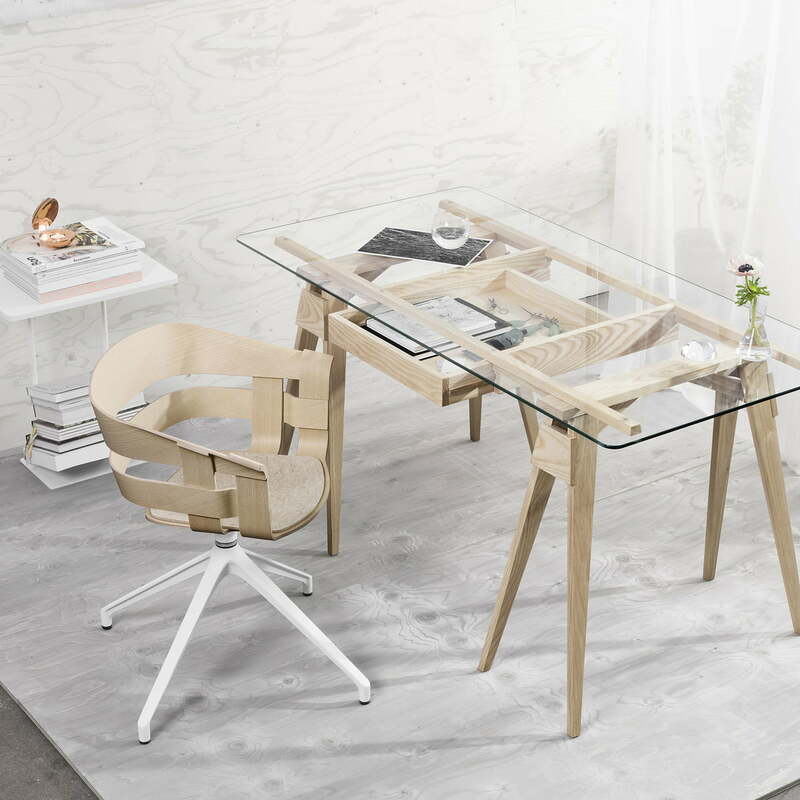 Together with the wick chair, a transparent and easy to assemble desk is created.